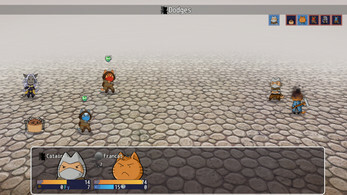 On the technical side, The Chronicles of Nyanya is a retro-style RPG with pixel art graphics, turn-based battles, exciting story and 20 hours of gameplay. 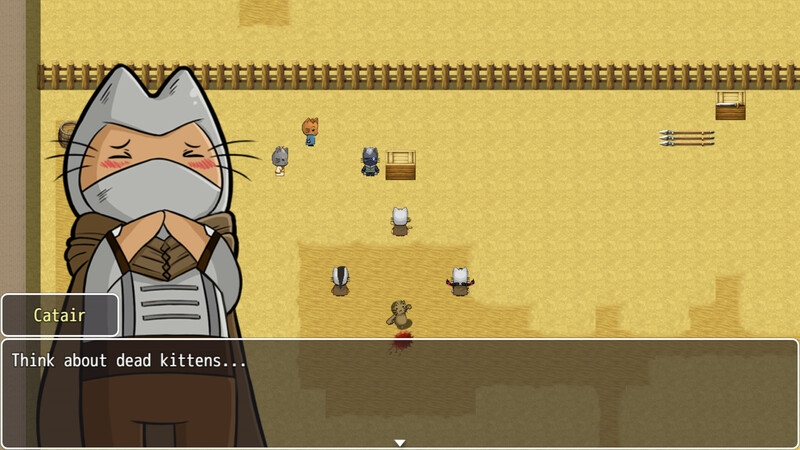 ...but that’s just the tip of the meowceberg! The game’s creators used this vehicle to deliver you tons of humor, delicious weirdness and in some moments – pure craziness. 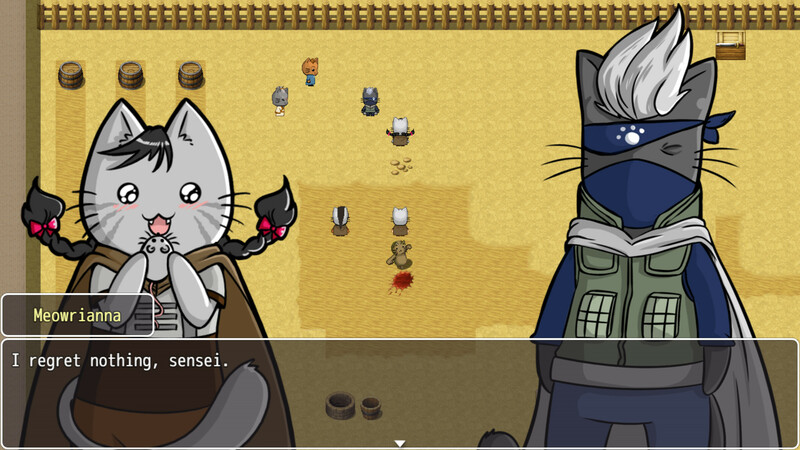 The world of Nyanya is full of cute kitties, living pastries and furniture enemies. Is it fantasy? Fairy tale? 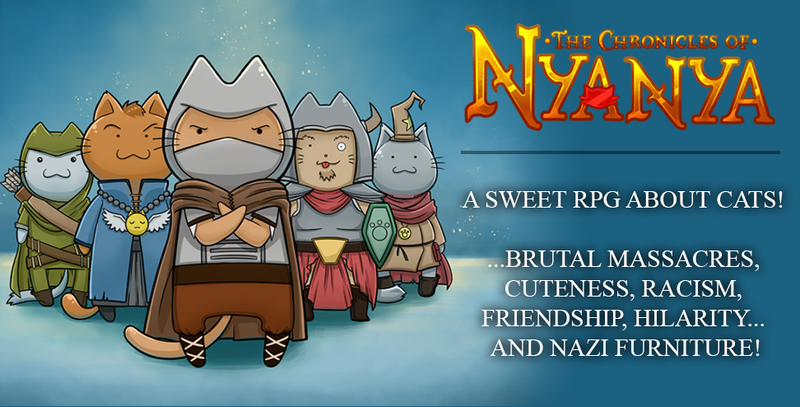 Naaah, such clichéd descriptions have no place where Nyanya’s concerned. 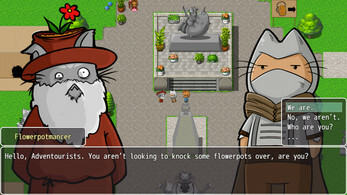 It’s a peculiar world much more in the style of your favorite adult TV cartoon. 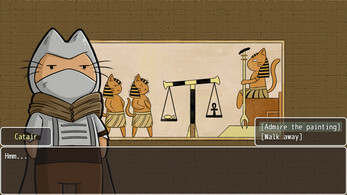 It’s where bright, funny graphics meet serious issues and sarcastic humor. 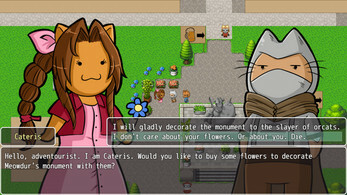 Take Purrevar, one of the game’s NPC’s. He is the subject of constant discrimination because he’s black. And black cats – according to the popular stereotype – bring bad luck. 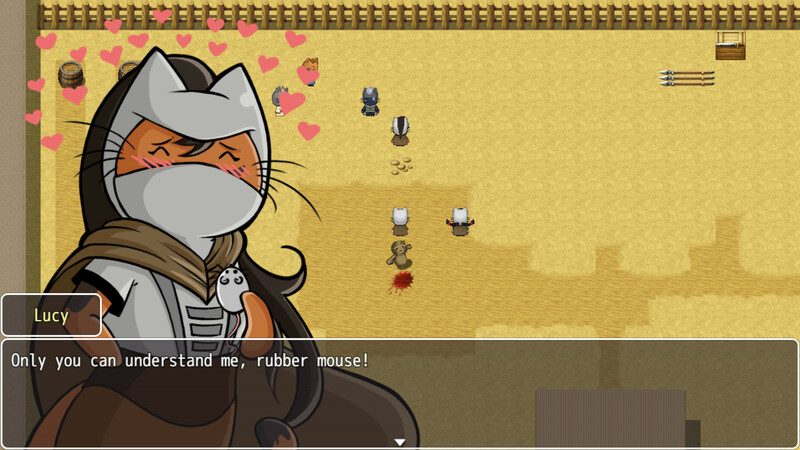 The game’s protagonist – meowsassin Catair, seen here in one of her darker moments, isn’t exactly a happy optimist. You wouldn’t be either if you lost your whole family when you were a child and witnessed your neighbors being burnt alive during the massacre of your village. 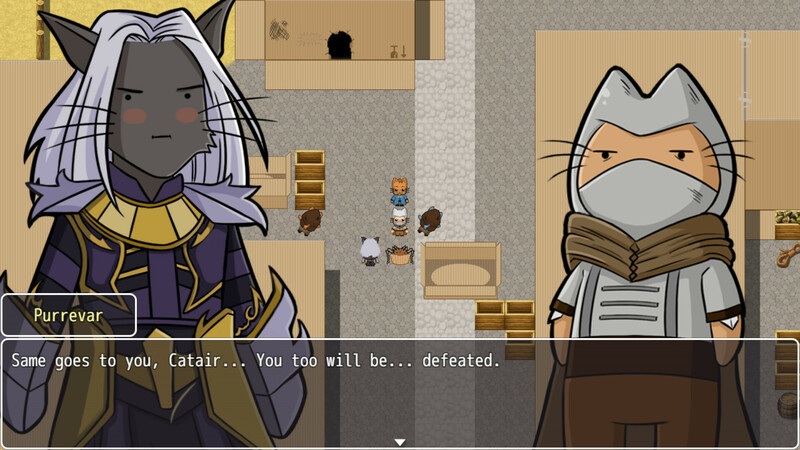 As you progress through the game’s story, you can try pull Catair away from the darkness... or not. 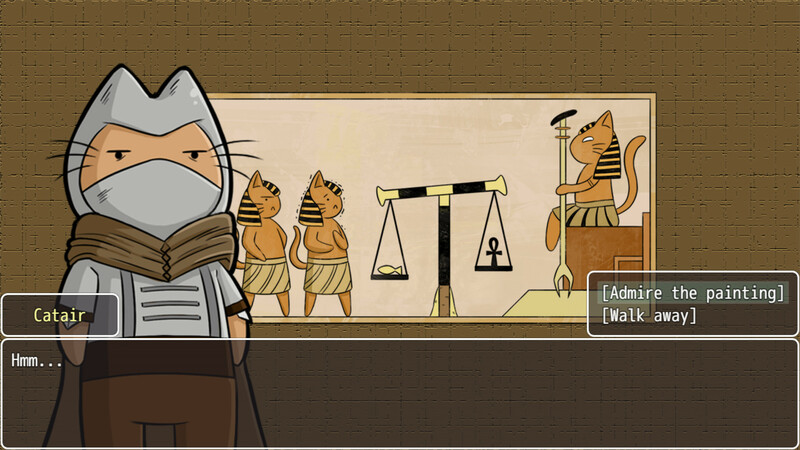 If you feel like comedy today, don’t Netflix and chill – play Nyanya and laugh out loud! 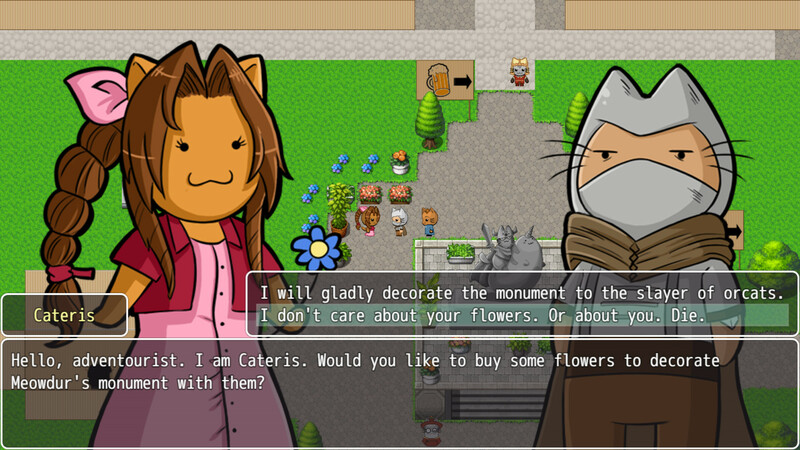 The game is full of hilarious dialogues, meme jokes, ironic comments and fun pop culture references. The more movies and TV series you’ve watched, novels and comic book you’ve read, or games you’ve played – the more fun you’ll have! 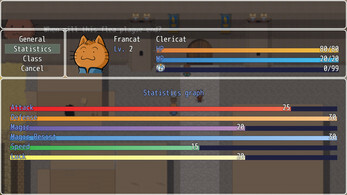 The ‘indie game’ term doesn’t have to mean ‘short storyline’. How about a playthrough lasting 20 hours? The Chronicles of Nyanya’s script is over 113 000 words long! That’s more than The Hobbit (95 000 words) and only a bit less than LotR: The Return of the King (134 000 words). Of course you’ll have to play multiple times to discover every plot branch and dialogue variant. 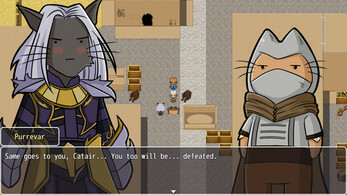 You can influence many aspects of The Chronicles of Nyanya’s gameplay and story, including Catair’s behavior, her relationships with key characters, and the course of the epic grand finale. Somehow those bastards have a tendency to squirm their way into our real lives and we bet you’re as angry about it as we are. Good news: the game lets you hit them with all you’ve got! 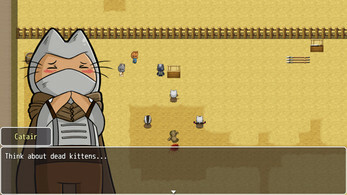 One-of- a-kind world: a mix of cute pixel art, adult themes and wonderful weirdness! The only game ever where you can fight Nazi furniture! 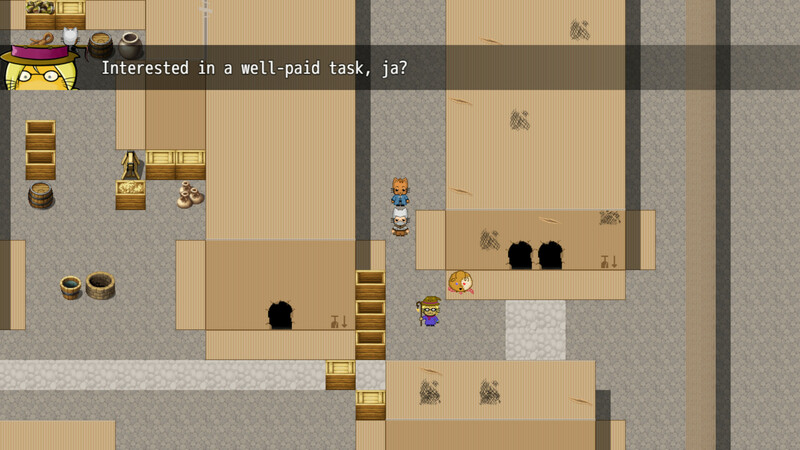 Quote: Typically, Easter eggs in games are carefully hidden trinkets. 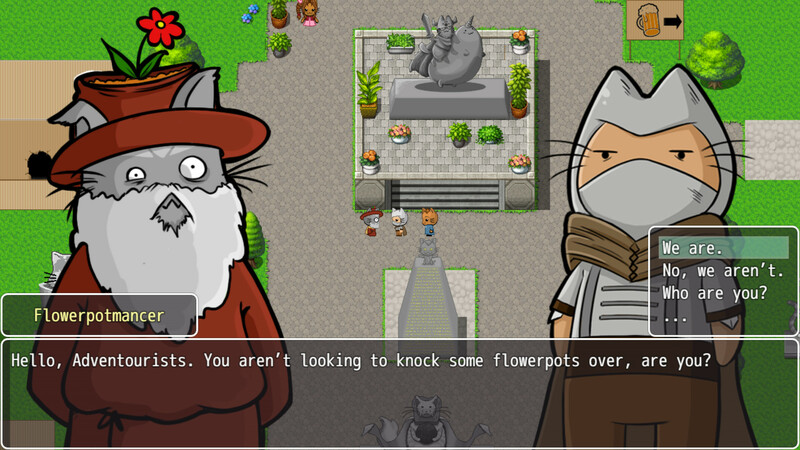 The Chronicles of Nyanya, on the other hand, is almost like a one big Easter egg. 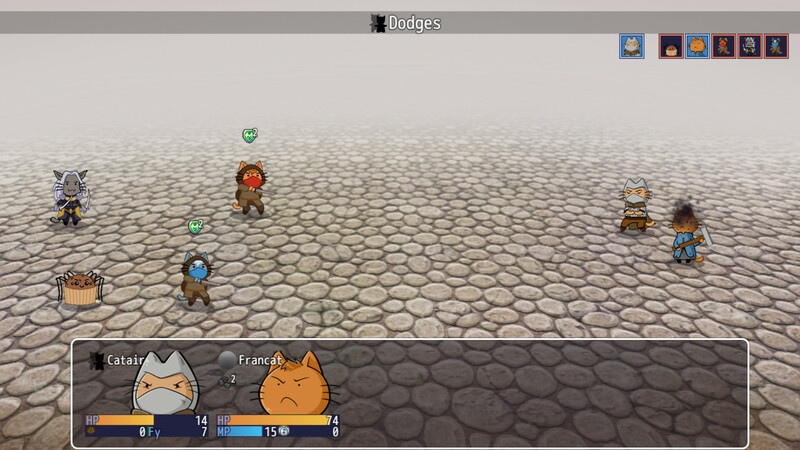 You receive a versions of the game with no code. Just download to your disc directly, (i.e. NO DRM). 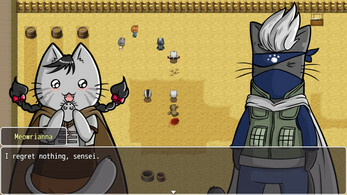 Enjoy the 40% discount for Chronicles of Nyanya! 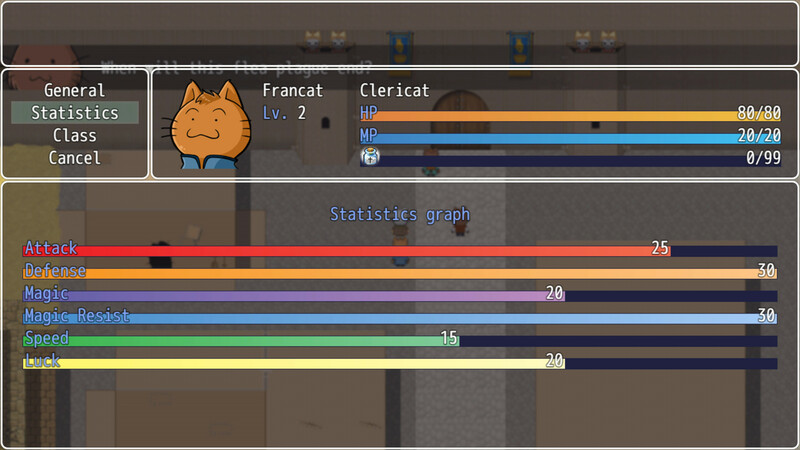 Amazing game with A LOT of puns and references. Not to mention the story is awesome - and kinda sad. Great game!